You need to be very good at mastering several specific singing skills in order to learn how to sing high notes easily. Ever heard Celine Dion, Beyonce or Mariah Carey sing high notes effortlessly? Well it makes us think that they were perhaps born with the capacity to sing like that? Perhaps yes. But actually, it has got more to do with the effort they took to develop their skills than god’s blessings. Singing in such high register can be a real challenge and quite difficult unless you develop your range and learn the proper technique to hit high notes and hold it too. However, it is not impossible to learn how to sing high notes if you have the determination and drive. What we hear as voice either in speech or while singing is the product of the action of the vocal chords in our larynx. The movement or vibration of the vocal chords are controlled by muscles in the larynx. Very much as a sprinter would train his leg muscles to become stronger and flexible you have to exercise and strengthen your throat muscles so that you can control the throw of your voice and develop stamina. What You Should Do Before Learning to Sing in High Notes? Before you learn how to sing high notes, you may need to do a range test of your vocal capacity. Every human being is gifted with different kind of voice and hence each person will have different range capacity. For instance the three range categories for females are: Soprano-High range, mezzo Soprano-Middle range and Alto-Low range. Similarly for men Tenor is high range, Baritone is middle range and Bass is low range. Usually, in other than some rare exceptional cases men have a lower range than women. Finding out the reasons why you are not able to sing at certain high notes is equally important as learning how to hit them. 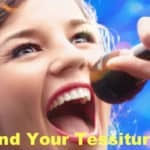 If you seemingly cannot hit high notes, singing high notes, the reason maybe that you are emphasizing on the usage of muscles that should not be used for singing, like the throat muscles for chewing and swallowing. If the incorrect muscles are used, the larynx, which normally stays still even when high notes are being sung, moves and cuts off the air. The tone suffers for this and it will not be possible to hit high notes any more. 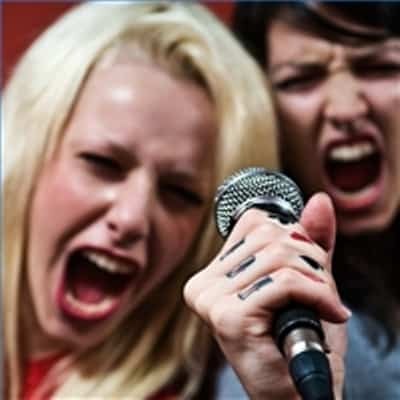 Permanent damage that made you unable to hit higher notes or singing in high notes actually caused to the vocal chords, especially if the appropriate singing techniques are not being used. Therefore, it is not only useful to hit the high note but also healthily as this is the appropriate technique required. If the starting point is not very clear to you, acquiring a coach is an option that should be considered. An appropriate vocal coach has the capacity of teaching you the ideal approach to achieve a singing potential and safe when hitting the high notes. Have you consistently craved to hit high notes? Yes, you can. It is easily accomplished once you comprehend how to do it. The manner with which pitch works is the primary thing that you require to understand in regard to singing high notes. 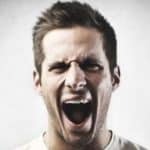 When thinking about pitch, it is not recommendable to have thoughts regarding hitting high notes. In fact, tone should not be thought of as a kind of note. In your head, regard and picture pitch to be a note that requires to be hit. At first it might be difficult, but an attempt should be made to avoid listening to your own voice or the music if you are endeavoring to reach a particular pitch. The ideal thing will be to go by the feel of your voice. It is highly possible to assume that your voice needs to reach up in order to achieve this. However, straining the vocal chords will result in air being lost. That will in turn lead to worsening of the tone, if not an improvement. Singing of high notes should actually be carried out in a similar head voice as different notes that can be sung. The alternative will result in the voice cracking, while as you sing your voice will be falsetto and the larynx will get strained. 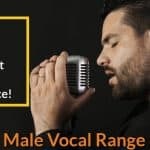 Having decided in which category your voice fits at the range test, you can start the vocal exercises that will strengthen your voice. This is done by ascending or descending a scale on different syllables. You can also exercise by concentrating and practicing on the ascending scale first and lightly humming the descending scale and later on do the reverse. For example you ascend the scale with an “ah” sound slowly, holding each note as long as possible and descend with a light hum. Once you get this right lightly hum the ascending scale and practice the descending scale slowly. Slowly you will realize that your vocal range while ascending and descending are increasing. Do you know how god or nature intended us to breathe? If not, then take a look at a baby breathing. You will see its little tummy expand when it inhales and contract when it exhales. This happens because the baby is using its diaphragm to breathe, just the way it is intended. But, if you were to observe the same baby as it grows up you would notice the change in the breathing style. As it grows into a child and then into an adult the breathing becomes shallower and takes place from the upper chest. Of course, you don’t have the time to watch the same baby, but this is what happens to everyone. But if you want to be a good singer, you will have to re-learn the process of proper breathing. When you start this process, you will realize how much control we lack over our breath. So, how do you go about learning how to breathe? Try this out. Place your hand on your stomach and inhale deeply through your nose. Hold your breath and count a slow and steady five. Then exhale slowly. The chances are that your stomach will not expand too much the first few times. You may only notice a slight difference. But, keep at this procedure every day for at least ten minutes. Gradually you will feel your hand on your stomach rise when you inhale and go down as you exhale. Then you know that you are breathing properly. Only if you achieve this will you be breathing from the diaphragm and there will be a maximum intake of oxygen. As you begin to do it well, start increasing the number to 10 and then 15. The more you do, the better it will be for you, and you can do it at your convenience. Only proper breathing will be able to give you the control to sing well in your full voice and hold your notes for a long time. This exercise also relaxes and rejuvenates you. Another aspect in singing higher notes is voice or sound placement and intonation. There are people who do not consider this and when they sing high notes, it grates in your ears. By sound placement what we mean is where the sound comes out of after being produced in the voice box. For instance the high notes come through the nasal cavity. Most of the head notes are placed there and generally when you sing high notes the soft palate at the roof of the mouth and your nose will vibrate gently when the sound is produced properly. Similarly as long as your vowel sounds are proper the intonation will be right. Once you begin learning the correct way, you might begin experiencing some discomfort. It is likely to find that the jaw and mouth muscles will hurt while the neck might equally be tense or experience some pain. That is normal and you should not worry. All this discomfort is likely to disappear as the muscles are retrained for appropriate singing. High note singing is an advanced stage in vocal training. The voice has to be trained to be controlled, yet hit the high notes without changing the tune or losing the key. Do not try to imitate the way your idols sing; this will get you nowhere. The idea would be to develop your voice slowly and gradually to reach the high note. This comes only with practice and goal. The muscles which help your vocal chords to perform have to strengthen, open up and allow you to sing higher notes. High note singing is definitely more appealing than a song sung in a low register. Most songs cover a range of notes with highs and lows and with practice and proper training you will be able to sing it in the key in which it sounds best to the audience’s ear. right for you. There are certain people who wish to become singing coaches, in order to contribute to the singing industry.